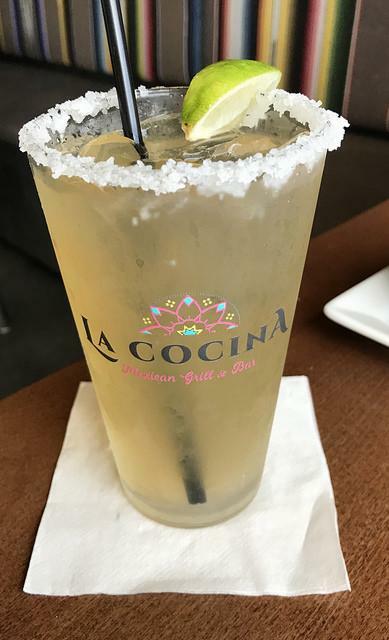 La Cocina Mexican Grill & Bar located in Seacrest Beach is a favorite for both tourists and locals alike. Known for their house margaritas and guacamole, the menu features traditional Mexican food but with a local twist; chef’s specials and fresh seafood caught nearby. My fiancé, Chase, and I ordered some drinks to kick off the evening. We were convinced to try the house margarita and the strawberry daiquiri, both of which were fantastic! The tangy house margarita was made with top-shelf tequila and fresh squeezed lime juice, while the daiquiri was not too sweet and really refreshing. For appetizers, we decided to order some salsa, a large guacamole, and queso — guacamole and queso being some of our favorite foods. The guacamole was incredible, very generous in size, and we couldn’t even finish it all. The queso was savory and rich, a nice compliment to the acidity from the house made salsa. I definitely recommend getting all three of these as starters. When it came time to order, we were unsure of what to get because there were so many options on the menu. Our energetic waiter, Benito, recommended the chef’s specials, and after hearing what they were, we both agreed to try them. Chase ordered the fresh Gulf amberjack crudo, a dish which consisted of lime cured Gulf amberjack with red chili oil, serrano, blood orange, and micro-cilantro. The raw amberjack was fresh and clean, and the peppers were spicy. The berries added an element of sweetness making the dish very rounded and unique. I chose to go with the other chef’s special, the crab chorizo taquitos. This dish featured corn tortillas stuffed with crab, chorizo, and queso fresco that was served with charred pasilla-arbol salsa, cilantro crema, mint cilantro salad, and pickled onions. The crispiness of the taquito married well with the sultry crab and spicy sausage, while the cheese and crema played nicely against the smoky salsa. La Cocina is really stepping up their game by the recent hiring of executive chef Eric Bartholomew and sous chef John “J.R.” McKinny. The appetizers and entrees were filling, but we were still able to split a dessert, and we both immediately knew what we wanted. As fans of tres leches cake, we were excited to sink our teeth into the dense and creamy layers topped with fresh strawberries giving just the right amount tartness to the sweet ending of our meal. All in all, my experience with La Cocina was lovely. Their generously sized appetizers, creative chef specials, and hand crafted cocktails are really worth the hype. 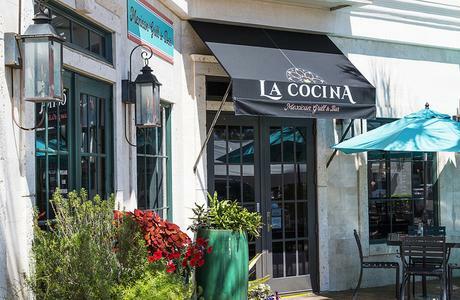 La Cocina Mexican Grill & Bar is located at 10343 E County Hwy 30A, Rosemary Beach, FL 32413. They do not take reservations; however, if you have any questions, feel free to contact them at (850) 231 4021 or visit their website (click here). You can also visit them on our sister site GulfCoastRestaurants.com.